appease is a powerful, easy to use e-commerce and content management system. It has everything that you need to build and run an e-commerce operation. appease combines deep functionality with total flexibility. It integrates seamlessly with the powerful PRIAM back-office system, allowing you to take advantage of a full scale ERP/CRM system. appease allows you to manage your own look. It also lets you run your own offers and promotions, tracking response to increase profits. After all you know your business best. appease design studio means you have the option to leave the graphic design to our experts. Innovative visuals married to search engine optimisation. Never before has an e-commerce solution that offers comprehensive functionality and customisation been so easily obtainable. Use the powerful analytics to optimise the effectiveness of your on-line marketing to cut costs, increase customer service and improve conversion rates. Supports a wide variety of B2B and B2C models within its modular format and a huge amount of functionality, all generated from the PRIAM back-office system. Web design is no longer a sideshow, it's the main event. Take advantage of our expertise and leave nothing to chance. appease Blog is the module that allows integrated blogging on appease websites. 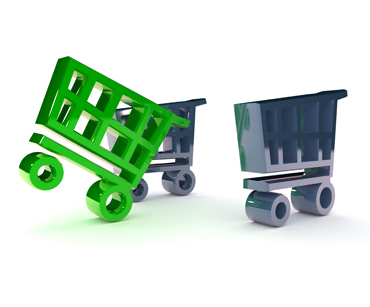 A well run blog can hugely increase the performance of an e-commerce website.